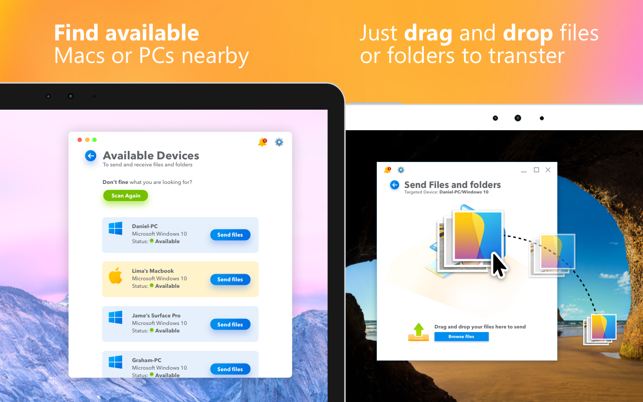 Exchange files and folders between your Mac and Windows PC seamlessly. No configuration required, no need to enter an address to connect. Devices are automatically discovered. 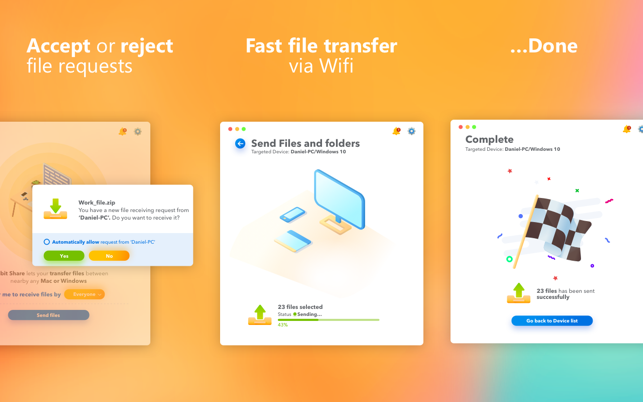 Drag folders and files and they are transferred to your devices and computers in seconds. Please Note: You Mac must be on the same network as your Windows PC.